Another month of Ipsy = another month of happiness trying out new beauty products. 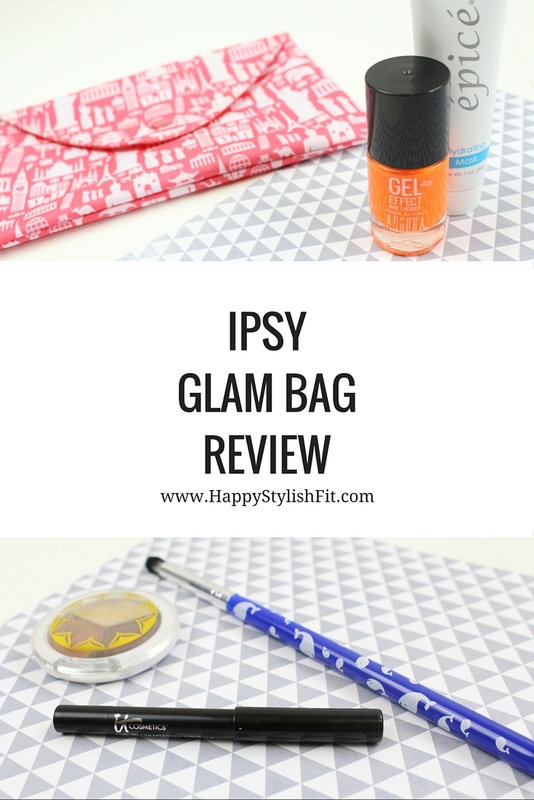 The items in this month’s Ipsy glam bag review are especially cute and cheeky with bold colours and cute designs. The print of the bag is great, although I wish I got the purple shade, but that’s just my purple loving ways. Ipsy also switched up the style of the bag from the traditional zipper style to the envelope snap closure, and I’m digging it. I like that they switch it up so much with the design and theme of each month’s bag. I’ve collected tons of the bags while I’ve been getting their subscription, but they sure get used. You’d be surprised how many ways you can use them. I’ve received Pacifica products in some of my older glam bags, and I’ve always been so happy with the items. 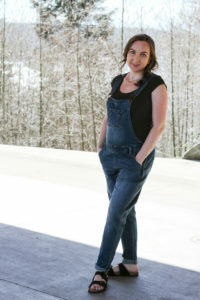 The brand makes quality products that are completely gluten-free, vegan, and cruelty free – what’s not to love? This particular eyeshadow trio has a great blend of shades that look gorgeous with all eye colours. Stay tuned for a beauty tutorial using these eyeshadows coming next week. Value $12.00 USD, 20% off coupon code also included. Isn’t this the cutest makeup brush? I love it! Not only does this makeup brush put a smile on my face, but it works great too. The synthetic fibers are oh so soft, and work great at blending. Glamour Dolls does seem to be more of an indie brand that is just starting out, with a limited selection with lower inventory levels. That being said I’ll definitely keep my eye out for more cheeky cosmetic products like the sperm whale brush, or their fakecation bronzer. Value unknown (aprox. 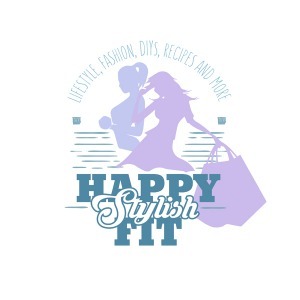 $7 – $15), 15% off, free gift coupon code included. I never knew I would love orange so much – the shade is perfect for the upcoming summer season. The nice gel like formula is great, it dries fairly quick, is long lasting, and easy to remove. The pigment is bright, and it has a somewhat matte finish, although the finish isn’t that noticeable as the colour is quite bright. Value $12 USD, 10% off coupon code included. I’ve been getting into clay masks lately. They’re great for pulling out the impurities in your pores giving you clearer skin. The Epice hydrating mask works great at doing this while leaving your face soft and moisturized. Value $12.50 USD, 30% off coupon code also inculded. I am so happy to see an It Cosmetics product in my glam bag again. I received their brow pencil quite a while ago, and absolutely loved it. 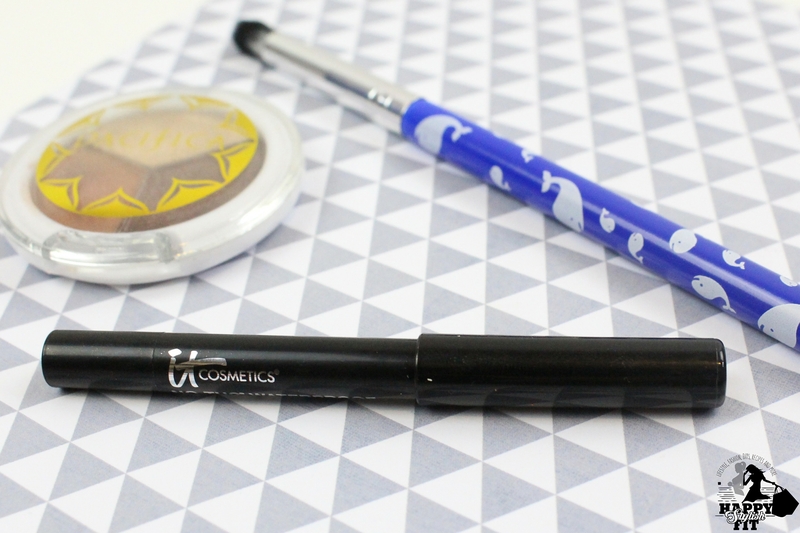 The no-tug waterproof mini gel eyeliner doesn’t disappoint. It goes on smooth and effortless leaving behind a very pigmented black liner. A makeup tutorial using this and the Pacifica eyeshadow trio is coming next week! Value for the full size is $22.00, no coupon code included for this product. 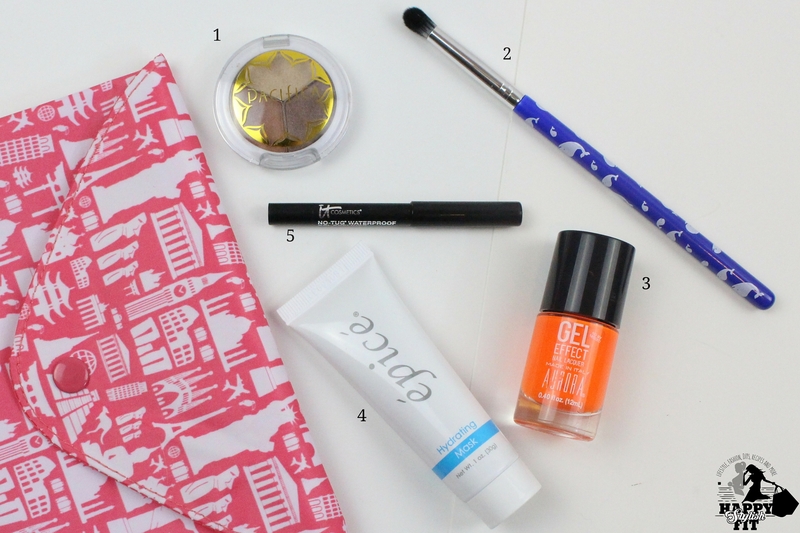 Overall I am very happy with this monthly beauty bag. You get tons of value (approx. $55 USD) for the cost, and it’s so fun to get an unexpected gift in the mail each month – I purposely don’t track the shipping so it’s always a pleasant surprise when I get it! All the items in this month’s Ipsy subscription were from quality brands, and worked fantastically. 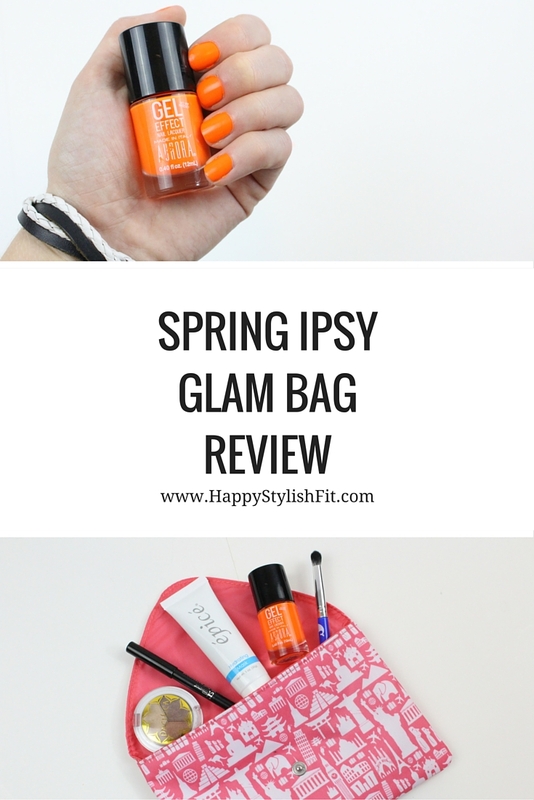 If you want to see more Ipsy bags check out my April and February reviews, and if you’re already an Ipster what’s your favourite product in this month’s bag? PS: Sorry this didn’t go up sooner, I’ve been super busy with work and the last month of school, and it’s been a little hard juggling everything. Good news, only 1 month left of school! I’m super jealous of all of those already done school for the year, I can’t wait to join you. These products look so fun! I’d love to try the gel eyeliner! They are, I love being able to play with them each month 🙂 and the gel eyeliner works great!